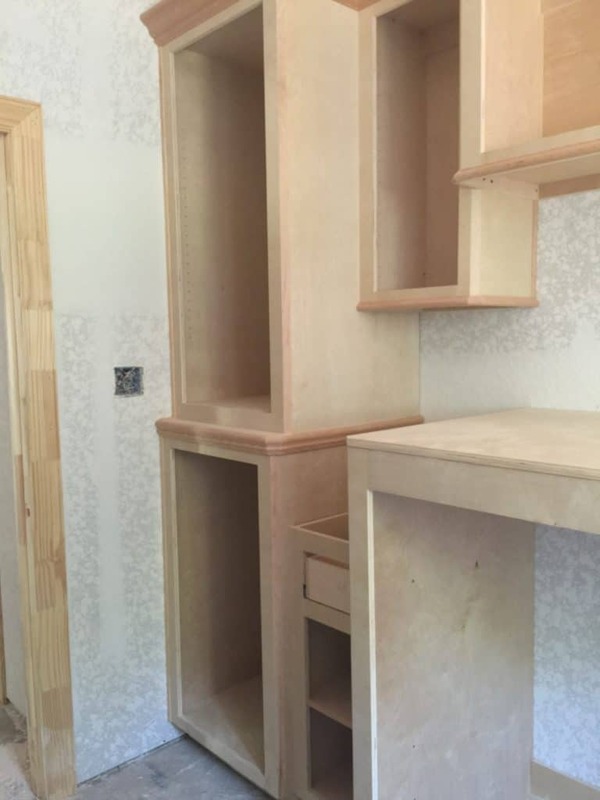 The cabinet installation in our new home build has started and they are looking great! The cabinet builder is custom building these, and has been very helpful at helping us make use of the spaces that we have. His ideas and craftsmanship are amazing. We have been very happy with the outcome so far. Although they are not yet totally complete, they are definitely taking shape and you can now start to get a feel of the rooms again. They have just gotten started, so I will attach some pictures of what has gotten completed so far. The laundry and the bathrooms are completed as well as the window sills. They are currently working on the living room built ins and the kitchen. We will be posting pictures of those as they go in.